Trained as an educational psychologist, Ronald J. Markert, Ph.D., has over 40 years of experience in U.S. medical schools, including 28 years at Wright State University’s Boonshoft School of Medicine (from 1980 to 2000 and from 2006 to 2014). Markert is currently professor and vice chair for research in the Department of Internal Medicine and holds secondary appointments in the Departments of Surgery and Orthopedic Surgery, Sports Medicine, and Rehabilitation. He has had a distinguished career as a teacher, medical educator, and researcher in academic and clinical medicine. As a teacher of evidence-based medicine at Wright State, he was selected as Teacher of the Year six times and was designated the Robert J. Kegerreis Distinguished Professor of Teaching from 1995 to 1998. In 2000 Markert received the prestigious Glaser Distinguished Teacher Award, the highest recognition for medical school teaching in the United States and Canada, from the Association of American Medical Colleges and Alpha Omega Alpha. He also serves as reviewer/consultant for Journal of the American Medical Association (JAMA), Academic Medicine, Teaching and Learning in Medicine, and the Journal of Graduate Medical Education. Markert’s productivity in the field of medical science and education are remarkable by any standards, said Marjorie A. 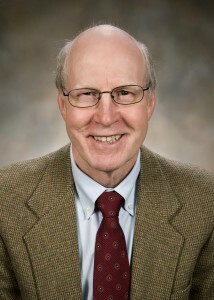 Bowman, dean of the Boonshoft School of Medicine.